With Christmas on its way, we’ve got some great news to get you in the festive spirit – for December, we’ll be introducing the RPS Christmas Advent Calendar! Reuse and recycling is important during and following the Christmas period. Research shows that during the last few weeks of December, the UK throws away the equivalent of over 227,000 miles of wrapping paper! It’s never been a more important time to know your stuff(ing). Our advent calendar is a fun way to learn more about Christmas traditions, festive recycling and how you can help the environment during December! There’s a total of 12 days to discover new facts by opening a pallet-mounted present each day, and it gets better; each week during December there will be a chance to win a box of chocolates! 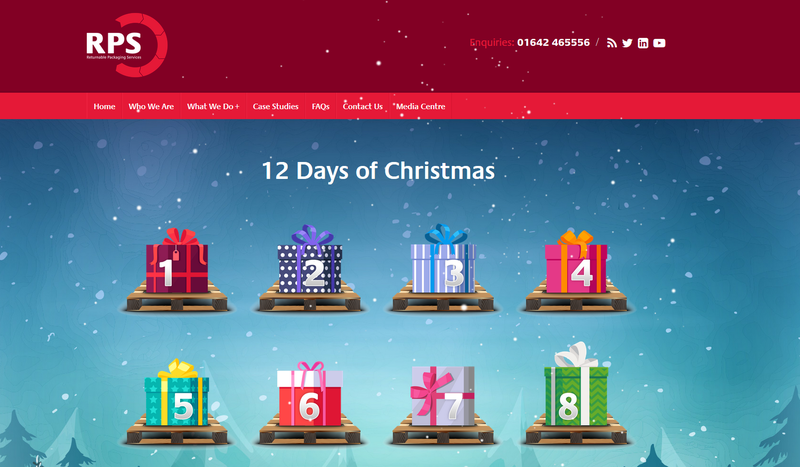 All you have to do is visit the RPS Christmas Advent Calendar on our website and fill in a couple of details at the bottom of the screen to be in with a chance. Do you want to help the environment through reuse and recycling this Christmas? Get in touch by calling 01642 465556 or tweet us @RPS_Limited.